This blog is co-authored by Damon Vine and Patty Hickman. Veterans face many challenges as they transition from active duty or reserve status back into civilian life. The University of Denver is doing its part to help veterans reintegrate into civilian life. Nationally, the average age of a student veteran is 28; this includes graduate and undergraduate students. Most veterans departing from the military are unfamiliar with the career skills they need to begin their civilian career. DU’s Veterans Services has partnered with Career & Professional Development to bring our student veterans the Right Foot Forward (RFF) program. RFF matches current student veterans with a mentor in the field in which they wish to pursue a career. The participants must also attend two career fairs as well as schedule three meetings with Career & Professional Development to review their resume/cover letter, LinkedIn profile and practice interview skills. After these objectives have been completed they are matched with their mentor, a senior executive with at least five years separation from the military, and/ or five years professional experience in their field. After completing the five meetings with their mentor Veterans Services accompanies the participating veteran to Brooks Brothers for a custom suit fitting at no charge to the veteran. 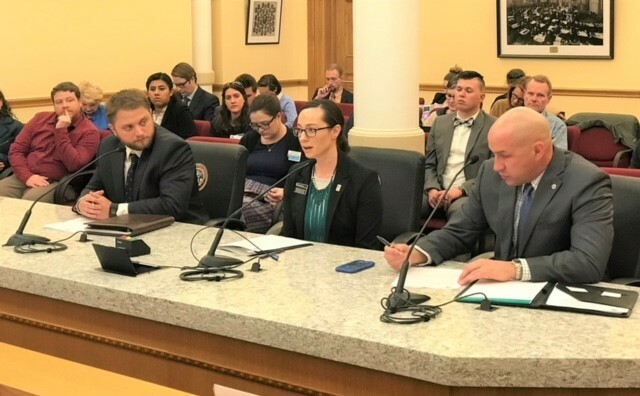 RFF has experienced great success and has been asked to speak in front of the State of Colorado’s Senate Committee on Education (see picture) along with CU-Boulder and CU-Denver’s programs which have programs similar to DU’s Right Foot Forward. For more information about the Right Foot Forward program please contact Damon Vine at damon.vine@du.edu or 303-871-2074.